Huttonite: Mineral information, data and localities. Named in 1951 by Adolph Pabst in honor of Colin Osborne Hutton [January 10, 1910 Dunedin, New Zealand - December 1, 1971 Stanford, California, USA], geologist with the New Zealand Geological Survey, professor of Mineralogy at the University of Otago, and later professor of mineralogy at Stanford University. Hutton established many of the principles of using heavy detrital minerals in geochemical exploration. 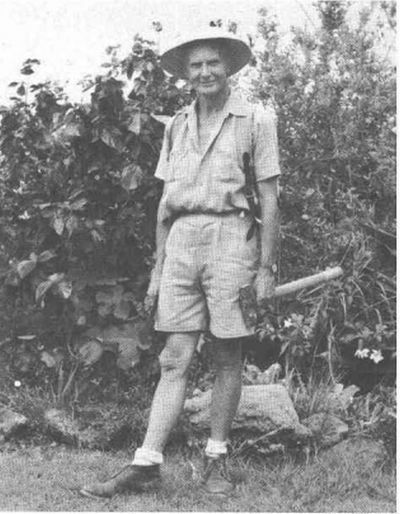 Hutton's research, along with that of Frank J. Turner, established the textural basis for classifying schists that is widely used by geologists. Hutton named hydrogrossular. 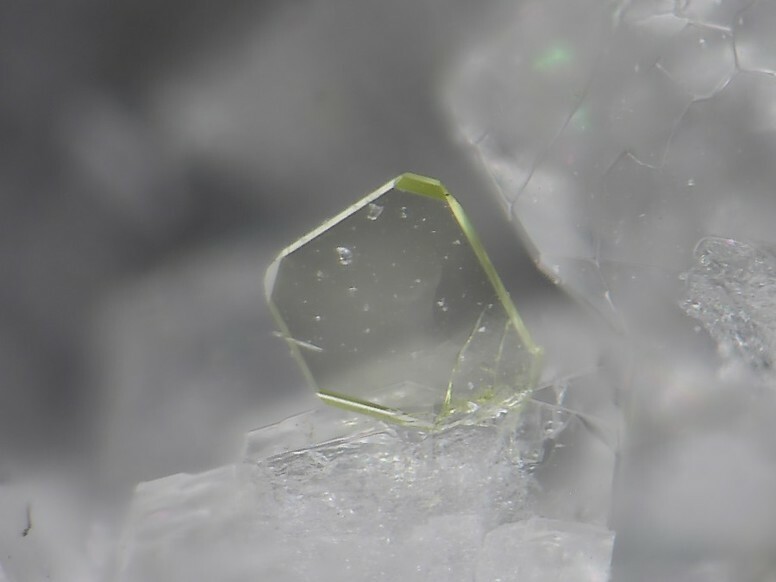 Appears to be the high-temperature modification of ThSiO4 (synthetic crystals form at 1225 +/- 10°C whereas thorite forms below this temperature; Finch et al. 1964). Pabst, A., Hutton, C.O. (1951) Huttonite, a new monoclinic thorium silicate with an account of its occurrence, analysis, and properties. American Mineralogist: 36: 60-69. Cerphosphorhuttonite Intermediate member of Monazite-(Ce) and Huttonite series of solid solutions with Th:LREE and Si:P ratios close to 1:1. Fleischer, M. (1952) New mineral names. American Mineralogist: 37: 359-362. Finch, C.B., Harris, L.A., Clark, G.W. (1964) The thorite -> huttonite phase transformation as determined by growth of synthetic thorite and huttonite single crystals. American Mineralogist: 49: 782-785. Taylor, M., Ewing, R.C. (1978) The crystal structure of the ThSiO4 polymorphs : huttonite and thorite. Acta Crystallographica: B34: 1074-1075. Kucha, H. (1980) Continuity in the Monazite-Huttonite Series. 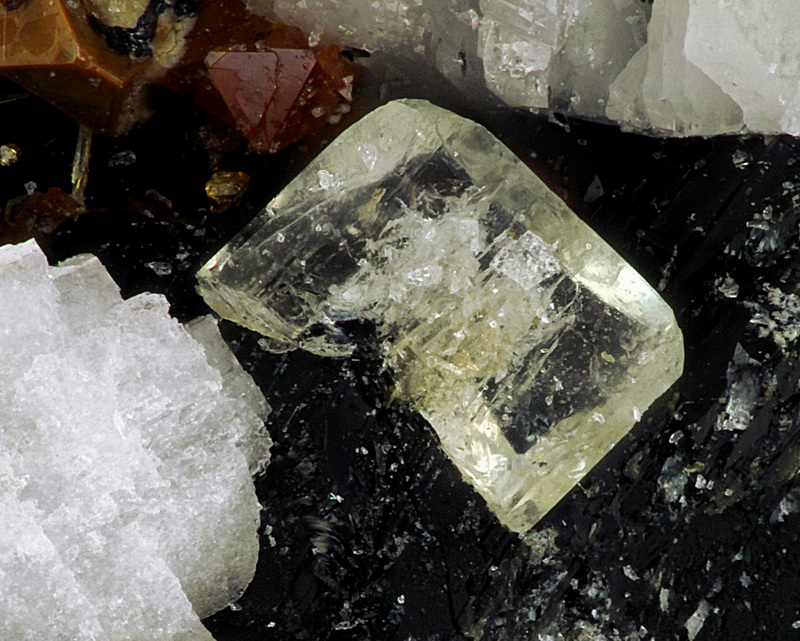 Mineralogical Magazine: 43: 1031-1034. Anthony, Bideaux, Bladh & Nichols (1995), Handbook of Mineralogy, Vol. II: 352. 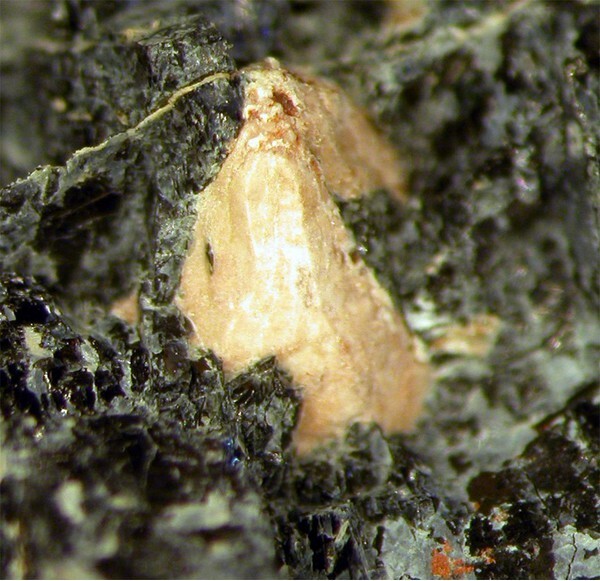 Della Ventura, G., Mottana, A., Parodi, G.C., Raudsepp, M., Bellatreccia, F., Caprilli, E., Rossi, P., Fiori, S. (1996) Monazite-Huttonite Solid-Solutions from the Vico Volcanic Complex, Latium, Italy. Mineralogical Magazine: 60: 751-758. Förster, H.J., Harlov, D.E., Milke, R. (2000) Composition and Th — U — total Pb ages of huttonite and thorite from Gillespie's Beach, South Island, New Zealand. The Canadian Mineralogist: 38: 675-684. Shein, I.R., Shein, K.I., Ivanovskii, A.L. (2006) Thorite versus huttonite: stability, electronic properties and X-ray emission spectra from first-principle calculations. Physics and Chemistry of Minerals: 33: 545-552. Linthout, K. (2007) Tripartite division of the system 2REEPO4—CaTh(PO4)2—2ThSiO4, discreditation of brabantite, and recognition of cheralite as the name for members dominated by CaTh(PO4)2. The Canadian Mineralogist: 45: 503-508. Pabst, A., Hutton, Osborne C. (1951) Huttonite a new monoclinic thorium silicate, with an account of its occurrence, analysis and properties, American Mineralogist, Vol. 36: 60-69. Förster, H-J., Harlov, D.E., Milke, R. (2000) Composition and Th-U-Total Pb Ages of Huttonite and Thorite from Gillespie's Beach, South Island, New Zealand. The Canadian Mineralogist 38(3): 675-684. Pabst, A (1950) Monoclinic Thorium Silicate, Nature 166, p 157. Mineralogical Magazine, 43, 1031-1034; Mochnacka, K., Oberc-Dziedzic, T., Mayer, W., & Pieczka, A. (2015). Ore mineralization related to geological evolution of the Karkonosze–Izera Massif (the Sudetes, Poland)—Towards a model. Ore Geology Reviews, 64, 215-238.